PDQs, ‘Proposals Done Quickly,’ are Automated Templates designed to be run exclusively by Expedience Ribbons. 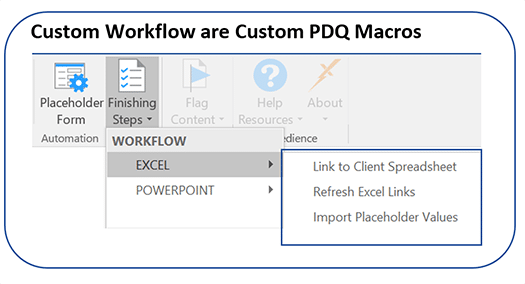 PDQs support automated placeholders and integration with Excel, Outlook, and PowerPoint. You can create a PDQ as a Master Proposal Template to provide a pre-structured proposal shell, including elements such as Custom Styles, Cover Page, Headers, Footers, TOC, Section Breaks, and other standard content. 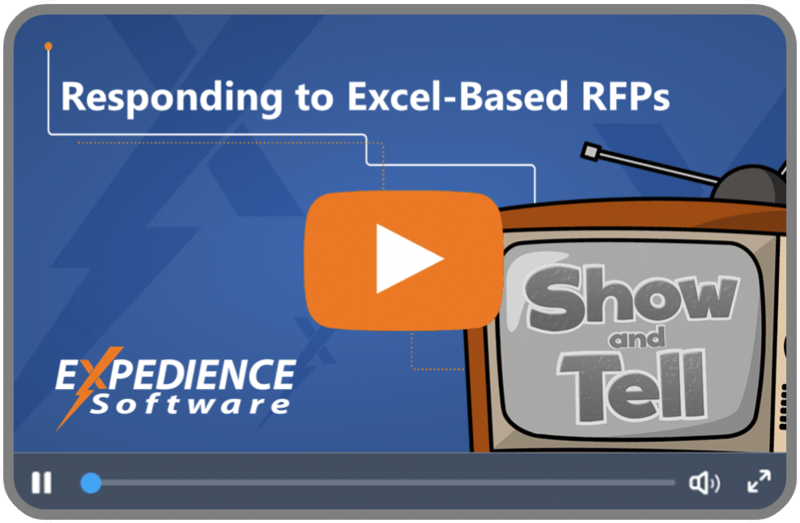 Create and store placeholders for proposal specific company name, Outlook linked contact information, selectable dropdowns, and other names and terms that will can be updated throughout a proposal quickly and correctly, by simply typing in the document field or filling in a Placeholder Form. Workflow Functions are designed to support your team’s specific needs and processes and will vary depending on the custom PDQs that have been created for you.